Advanced Micro Devices is handing out pink slips to 5% of the company’s global workforce, as part of a restructuring plan to help improve poor fiscal results after declining sales and six consecutive quarterly losses. AMD has 9,469 employees as of June 2015 and will cut approximately 470 positions. The restructuring plan will target “all sites, all levels, all functions,” an AMD spokesman said, adding that engineers will represent a smaller portion of layoffs. Cuts will mostly come from sales, marketing, and operations segments. The restructuring plan will cost AMD approximately $41 million in the third quarter of fiscal year 2015 -- $31 million of which will be related to severance and benefit costs, and $1 million to facilities related consolidation charges. The company expects to save approximately $9 million in 2015 and $58 million in 2016 following job cuts and restructuring. France's data privacy regulator rejected Google's appeal of an order to remove search results worldwide upon request, saying Monday that companies that operate in Europe need to abide by the prevailing laws. If a French citizen files a request under the "right to be forgotten," CNIL said Google must comply with the order worldwide -- not just on European extensions of its search engine, such as .fr, .es, or .de for example -- or face possible sanctions. The agency denied that it was trying to apply French law on the "right to be forgotten" globally, as Google had accused the watchdog of doing. Its latest order came in response to the May 2014 ruling from Europe's highest court that people have the right to control what appears when their name is searched online. Google says it has received 318,269 requests for removal, and delisted about 40 percent of the URLs that it evaluated as part of the requests. Google has argued the precedent would leave it vulnerable to similar orders from any government, democratic or totalitarian. "The Internet would only be as free as the world's least free place," the company wrote in July on its Europe policy blog. Google will soon let advertisers tap into one of the most lucrative types of ad targeting: email addresses. The search giant is rolling out a new tool called Customer Match, which lets advertisers use a list of email addresses to target specific users across Google services. To be targeted through this technique, you only need to be logged into your Google account and have given your email address to a retailer, perhaps by buying something from their website or giving it out to sign up for a loyalty program. Google will also be compiling lists with general customer habits like YouTube viewing and Google search histories to target ads with. By tapping into email addresses, as both Facebook and Twitter have already long been doing with their own respective products, Google can take higher cuts of the more costly and better targeted ads being served even from within the Gmail and YouTube apps on mobile devices. Google calls Customer Match a "privacy-safe" product, but that may not quell the concern of users who feel that advertisers are getting even more specific with their ad targeting. Researchers have discovered that when hands are poorly washed airborne germ counts are 27 times higher around air dryers in comparison with the air around paper towel dispensers. This shows that both jet and warm air hand dryers spread bacteria into the air and onto users and those nearby. "These findings are important for understanding the ways in which bacteria spread, with the potential to transmit illness and disease," said Professor Mark Wilcox, who led the study. Researchers collected air samples around the hand dryers and also at distances of one and two meters away. They found that air bacterial counts close to jet air dryers were 4.5 times higher than around warm air dryers and 27 times higher compared with the air when using paper towels. Next to the dryers, bacteria persisted in the air well beyond the 15 second hand-drying time, with approximately half (48 percent) collected more than five minutes after drying ended and still detected in the air 15 minutes after hand drying. In July, the BBC announced proposals to “invest” in BBC World Service. This includes a desire for a "bigger digital presence" in Russian through a new digital service. But BBC satellite TV for Russia is problematic. Very few Russians have rotatable satellite dishes. About 25% of Russian homes have fixed Ku-band satellite dishes to receive direct-to-home services such as TricolorTV and NTV+. Western news channels are not included and are legally not welcome. So far, Russia has not blocked the Internet content of Western international broadcasters, at least not on a continuous basis. Recent press accounts indicate that Russian authorities may even try to ban anonymizers and other methods used to work around online censorship. Circumvention would become more difficult. In an extreme scenario, Russia could physically cut off the landlines of Internet traffic into the country. Then no circumvention would be possible. This could bring BBC Russia back to the venerable but unfashionable medium of shortwave radio. Shortwave is no longer used for domestic broadcasting in Russia and BBC Russian eliminated its shortwave broadcasts in 2011. But, if need be, Russians could dust off their Cold War era shortwave radios or purchase inexpensive Chinese-made portable radios. In addition to voice broadcasts, text, images, and even formatted web pages can be broadcast and received by any shortwave radio connected to a PC or mobile device running appropriate software. This has been demonstrated in VOA Radiogram experiments. If Russia blocks Internet content from abroad, it may try to jam shortwave radio content from abroad, too, but most jamming transmitters of the Cold War era have been dismantled or have fallen into disrepair. Many of the jamming transmitters are outside of Russia, in former Soviet republics. Reviving a shortwave jamming apparatus would be a much more expensive proposition than blocking Internet content. Various Cold War anti-jamming tactics, using various tricks of ionospheric propagation, can be employed. Text via shortwave would be even more resistant to jamming than voice broadcasts. The Raspberry Pi Foundation on Tuesday launched the much-awaited display for its tiny, credit card sized computer. Pi display joins the family of accessories made by the foundation. The foundation has been working on the display for almost a year now. It’s an RGB 800×480 display @60fps with 24-bit color and 10 point capacitive touch capabilities. The display has mounting holes at the back so you can easily mount the Pi to it and use the whole thing as one unit. The good news is that it’s using DSI (Display Serial Interface) for connectivity which leaves the only HDMI port on the Pi free for other use – such as connecting to a bigger monitor. Users will have to use the latest OS on their Pi for the display to work flawlessly; if you are running Raspbian just run a system upgrade and connect the display. Since it’s a touchscreen display, it can be cumbersome to use the native X Display server to interact with the device – using your finger, as a mouse is never that efficient. The foundation is suggesting Kivy, a Python GUI development system designed to work on touch based devices. The Kepler mission has found the first near-Earth-size planet - called Kepler-452b - in the "habitable zone" around a G2 star much like our own sun. Kepler-452b is 60 percent larger in diameter than Earth and is considered a super-Earth-size planet. Its 385-day orbit is only 5 percent longer as the planet is 5 percent farther from its parent star. That star, Kepler-452, is 6 billion years old, 1.5 billion years older than our sun, has the same temperature, and is 20 percent brighter and has a diameter 10 percent larger. The Kepler-452 system is located 1,400 light-years away in the constellation Cygnus. "We can think of Kepler-452b as an older, bigger cousin to Earth, providing an opportunity to understand and reflect upon Earth's evolving environment," said Jenkins. "It's awe-inspiring to consider that this planet has spent 6 billion years in the habitable zone of its star; longer than Earth. That's substantial opportunity for life to arise, should all the necessary ingredients and conditions for life exist on this planet." In the next week, the American Registry for Internet Numbers (ARIN) will have exhausted their supply of IPv4 addresses. The metaphorical IPv4 cupboards are bare. The Internet will continue to operate, but all organizations must now accelerate their efforts to deploy IPv6. At this point, the rules for how IPv4 address resources are allocated will change. Request might not get fulfilled and applicants might be offered a smaller block or the choice to be added to a waiting list for IPv4 addresses that become available. As the Internet began to grow, techniques like Classless Interdomain Routing (CIDR) and Network Address Translation (NAT) were used to extended life-support for IPv4 for almost two decades. Some enterprise organizations still have not given IPv6 much thought and are not aggressively moving to implementing it. They are playing a dangerous "game of chicken" by ignoring IPv6. Internet Service Providers (ISPs) should already be well on their way through their IPv6 deployments, or are in serious danger of falling far behind competitors. 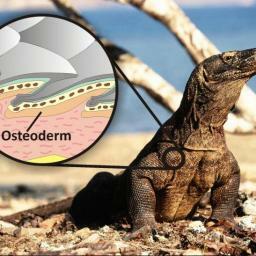 In a latest study, the researchers at the University of Queensland have discovered an evidence that “giant killer lizards” used to walk on the Australian land nearly 50,000 years ago. The team has concluded that some of the earliest aborigines may have faced the large predator on their homeland. According to Dr. Gilbert Price, a vertebrate palaeoecologist, the research team was initially shocked to realize the fact that the appearance of the Australia's first human inhabitant overlapped with the existence of the giant apex predator lizards around the same time. The findings of the team were based on the discovery of the lizard fossils. However, the analysis of the bone has not revealed the name of the species to which it belongs. The researchers say that it might belong to the Komodo dragon which once roamed the Australian land, or it could even belong to the extinct Megalania monitor lizard. The latter was much bigger in size than the Komodo dragon, weighed around 1,000 pounds and grew up to 20 feet long. Earlier this year, Yandex had complained to the country’s competition authority that cellphone manufacturers were not able to include the company’s rival digital offerings in the Android operating system. After the complaint, the regulator began investigating whether Google unfairly bundled its own services, like digital maps, in its Android software. Google may appeal the ruling. If the decision holds, the company may be forced to change what services it includes in its Android operating system as part of its efforts to comply with Russia’s competition rules, or face potential fines. “Russia is the first jurisdiction to have officially recognized these practices as anticompetitive,” Yandex said in a statement, in reference to Google’s favoring of its own services in Android over those of rivals. Update: The US Federal Trade Comission (FTC) has started its own preliminary investigation into Google's requiring prominent placement of its own apps on Android handsets.